Virtualization is an expectation today, especially for mission-critical systems using SQL Server. But some businesses remain nervous about taking on a SQL Server virtualization, in part because of performance concerns. 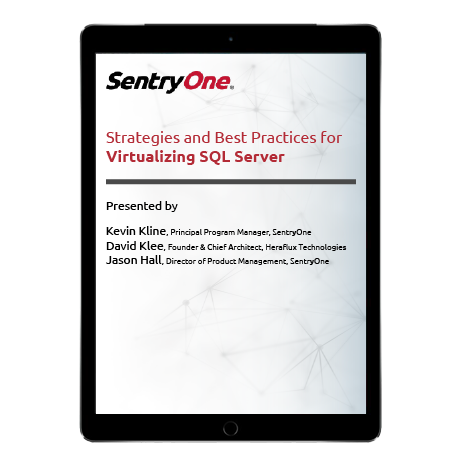 Our guide offers tips on proper planning, use of best practices, and how solutions such as SentryOne can help organizations ensure high-quality performance in virtualized SQL Server implementations. "DBAs need to ensure SQL Server performance is meeting expectations, and if it’s not, they need tools that allow them to see where the problems might lie."